and contemporary, learned and popular music, both in historic and systematic point of view..
aspects of safeguard and promotion of cultural musical goods. certificates, one for Paleography and Musical Philology and one for History and Didactics of music. A quadrennial Musicology degree course was established at SPFM in 1979.
of first and second level, both in Musicology and Literary Studies. from Cremona Gaetano Cesari (property of the public Library of Cremona and lodged at FM). The library is enriched with bibliographic material bought by SPFM and the Department. beginning of the twentieth century), private donations and a big collection of microfilms from all over the world. and German specialist artisans on the pattern of Eighteenth and Nineteenth centuries. 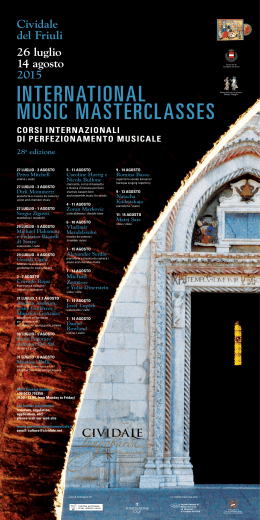 Philomusica online, now at its seventh number (http://philomusica.unipv.it). seminars and international meeting improve the collaboration among Italian and foreign universities. on the third volume ( Antologia di contributi critici). science and music and theology in the so-called XVII century ‘Encyclopaedism’. - text is a dynamic object and its cognitive value can be ascribed to its author and tradition’s movement. points of view and cultural backgrounds. fulfills in part the destructive function of Shakespeare’s Jago. itself, without, however, disregarding the Shakespearean influence. and is presently Associate Professor and Director of the Music Program at the University of San Francisco. Euridice: The Evolution of the Mythical and Musical Other. of Directors of the Lycée Français Lapérouse. Mendelssohn Philologist: towards Critical Edition and Philological Performance. Zelter, Mendelssohn’s composition teacher; it was the normal performance practice throughout Germany. should be given in its entire purity». This is, more or less, the modern Urtext method. H ow to edit musical quotations? other hand, the libretto (by G.B. Casti) clearly indicates the citations through quotation marks. material; in a second step, it will discuss general problems of dealing with musical quotations in critical editions. 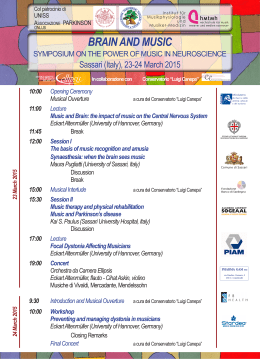 musicology at University of Bayreuth. Musiktheaters (Akademie der Wissenschaften und der Literatur Mainz). instrumental groups represents a good study-case. concepts of musical work and style in the XVIII and XIX centuries. German-speaking opera houses during the 19th Century. involves the investigation of a plurality of sources: scores used in opera houses, piano-scores, librettotranslations, and reviews. melodrammi during the 19th Century. to circulate throughout the opera world. and received in German-speaking countries. Century Italian opera and about the Italian operatic work of Ignaz Joseph Pleyel. the wider technical capacities of the piano. melody nor its harmonical structure. toccata: Tre fantasie di Simone Molinaro, a “free interpretation of lute tablatures suitable for piano”. also on the frequent dynamic indications (crescendo/diminuendo) and phrasing (legato/staccato). consultant in building and testing organs in Genova, we believe our speculation is worthy of consideration. this kind during this period has been found so far. Bossi also wrote an instruction manual for this instrument in 1920-1921, the manuscript of which is now kept at the Bossi Fund of Como Civic Library. See the well-balanced alternation between the “forte” (Grand Jeu) and the “piano” (Princip. 8’ Oktava 4’) sections. and XVI century music, particularly sacred music, tablature keyboard repertoire and XIX century Italian instrumental music. He is member of many scientific boards of critical editions and musicological essays. in Pavia, a member of the scientific committee of Fondazione Arcadia in Milan and of Società Italiana di Musicologia (Sidm). Memet by Giovanni Battista Sammartini. methodologies, as well as proposals for alternative techniques rooted in the work of noted philological skeptics. variant versions and imperfect copies, but is increasingly viewed as insufficient and even fundamentally flawed. from fields such as computational biology to resolve long-standing methodological quandaries. data requires significantly more complex programming groundwork. study is the development of a new stemmatological framework specifically tailored to notated musical material. Guiding principals of historic-critical editions often reveal a certain loss of how to deal with deviant versions. edition for the first time. and the history of German music during the eighteenth century. the Spanish music in the 20th century] (1929). configuration through the use of intertextuality ? of the composer in this intertextual approach. Stéphan Etcharry is Associate Professor at Reims University (URCA) and teaches in Jacques Ibert Conservatoire in Paris. voice (Mélodimania, 4 volumes, Paris, Billaudot). The aim of the present paper is to draw a balance on the study of intertextuality in sixteenth-century music. reception history, and so on. borrowing procedures and intertextual streams flowing from other composers to Palestrina and vice versa. his PhD at the same institution, where his principal teachers have been prof. Maria Caraci Vela and dr. Rodobaldo Tibaldi. musical notation, and had already been used in the 16th century, but not widely, due to its cost. preparing a three-hours documentary (DVD) on the history of violin technique in Italy during the 17th century. Da Willaert a Merulo: testi e madrigali nel ‘Primo libro a 4 voci’ (15332, poi 15379) di Philippe Verdelot. (Quando Amor i belli occhi a terra inchina) are based on the madrigal Quand’Amor i begl’occhi. Primo and Secondo libro a 4 voci Nuovamente ristampati, et da molti e importanti errori con ogni diligentia corretti. certain disproportion as to quantity. suitable to a lute tablature, while Merulo publishes a complete edition of both the four-voice Libri. several articles in books and scholarly journals. Baroque opera during the 20th century. the first five laude of the manuscript. seven Trento codices of the 15th century is available on-line. broadly, and Western art music in general in the future, particularly for myself, but also for other musicologists. relief here because of the indisputable authority of the witnesses. creative process of composing new ones. Collected Works of Adémar, and it will present the first music published in that series. Die Entstehung von Beethovens „Szene am Bach“: Drei Schaupla tze. sketches of a certain opus that one realizes that original pieces of art request ever original ways of their creation. exchangeability of the internal sections of a movement. Carl Maria von Weber’s Concertos for Clarinet and Orchestra: Sources, Edition, and Performance. performers? To what extent does a musical text represent an “authentic” version of a work? one autograph, and a first print, fairly accurate, and authorized by the composer, edited in 1813). Part I: Source History, Editorial Problems and their Consequences for the Performance of Weber’s Clarinet Concertos. illustrative insight into the editorial procedures and decisions, particularly the interdependences of the sources. elaborate the examples given in part I.
frequently performs as a clarinettist and saxophonist. Paderborn conference “Digital edition between experiment and standardisation” (Beihefte zu editio, vol. 31). up to the 20th century. editions can be described as a reciprocal one. regarding the transforming of performances in course of time. and music periodicals and given lectures at conferences or universities in various European countries, Mexico and China. apprehend it is as a given data without questioning its fabrication and how it conditions our reading of the work. consequently raises philological issues that concern critical edition or studies in transmission and reception. limitations in order to emphasize the role of mediation, codification and representation played by the score. and Diruta’s Transilvano printed by types with complex polyphony will illustrate these aspects. of the relationship between the musical work and its written codification. offers a singular glimpse into the creative imagination of the Bruges bourgeoisie. ‘Gruuthuse’ manuscript in Ghent in November 2007.
subsequent function and whereabouts of the ‘Gruuthuse’ manuscript throughout the 15th century and beyond. /Oxford History of Western Music/ (published in /TVNM/ 58:2008). 1919 play, Masse Mensch, and Consolation II (1968), which set the Medieval German Wessobrun Prayer. significance of this chance of position? point to another social and aesthetic reality. and philosophical thought with several strands of twentieth-century and contemporary music, especially the historical avantgarde, late modernism, and popular music. place in the Orthros, the Byzantine morning service, the equivalent of the Matins and Lauds. Velimirovic lists only thirty manuscripts from the 10th to the 15th century. and a new “abridged” version became known. of the second plagal mode. work remains unknown to the scholars of the medieval heirmological repertory. the remaining sources is still a work in progress and with regular periodicity new unidentified sources appear. census of this kind of musical sources and make possible the sources criticism. editions of the music of the XVII century in Spain. Cristina Menzel Sansó. Graduated in Musicology at the Università degli Studi di Pavia in 2004. In 2006 she obtained a 4year scholarship (I3P Ministerio de Ciencia y Tecnología), in order to work in the researches to reach the PhD degree. Nowadays, she is working at the Department of Musicology of the Spanish Research Council under the supervision of Dr.
Catalunya. Estudio de las fuentes y recuperación patrimonial. 2: El repertorio en lenguas romances" (Ref. HUM2005-08394C02-02) from 2006 to 2008, "Orígenes y articulación de la musicología hispánica en Europa. Felip Pedrell" (Ref. HAR200806058/ARTE) since 2008 and "Música i Patrimoni a la Corona d'Aragó (ss.XVI-XIX)". (Ref. "2009 SGR 863") since 2009.
personality, as is his music. understanding of this practice may shed some light on deeper and hidden layers of his psyche. and Legacies, Essays in Honour of François Lesure, Barbara L. Kelly and Kerry Murphy (eds. ), Ashgate, Aldershot 2007.
and problems to be solved. for the sake of respecting chronology ? Peter Poulos completed his dissertation in 2004 on the life and sacred music of the Genoese composer Simone Molinaro. secular music and is researching the musical patronage of the Genoese exiles from Chios who settled in Rome. to the composer, proofs were read by publisher’s editors, who also edited and revised the works. The involvement of publisher’s editors was an outcome of the international copyright laws in the early 1900s. markings, tempo indications, and performance instructions. many musical details – all of them not that “little” – remains open to doubt. style, as well as the notational conventions of different publishers. scores, and to ponder the consequences of these interventions from the viewpoint of critical editing. Sibelius’s works. She is currently preparing JSW Vol. V/3, containing Sibelius’s late piano works. an ideal place for spiritual life and, at the same time, a strategic crossing-point for many important routes. notation of the German-St. Gallen type with a repertoire deeply influenced by the German centre. according to well known models in the liturgical disposition of the High Middle Ages. Caroline minuscule was over. The long period of Gothic writings and the ‘new book’ era had started. on Codici e liturgia a Bobbio. Testi, musica e scrittura (secoli Xex.-XII) - Città del Vaticano, Libreria Editrice Vaticana 2008 Monumenta Studia Instrumenta Liturgica, 49.
of Sacred Music in Milan. required a very wide range of the voice. modifications of the Viennese modifications as well as of the original text. printed as well as digital – solutions. Universities of Music in Hannover and Cologne as well as at the University of Würzburg. Joseph Haydn, Luigi Cherubini and gender studies. Publications include essays in periodicals like Analecta musicologica, HaydnStudien, Studia musicologica and editio – International Yearbook of Scholarly Editing. Recently has been published Cherubini in Florenz. Joseph Haydn Werke (Munich 2009) and she is preparing two volumes of aria arrangements for Haydn’s complete works. has been left to test in the drafts? stanzas. The sketch ends in a gesture that in the published song brings the vocal part to a close in the 3rd stanza. realised years later with another song. They also reveal Sibelius’s work on the dramaturgy of the third stanza. of a local expression, rallentando – a tempo -gesture. the song were created in the next manuscripts, but with reflection to the qualities of the original idea. Critical editions: Jean Sibelius Works VIII/2–4, Works for Solo Voice, Wiesbaden, Leipzig, Paris: Breitkopf & Härtel. vocal sacred or secular compositions such as masses, motets and madrigals. Milan from 1572 and 1631 (the dates of publication of the first and the last Milanese canzonas). former model, precise or non-precise reprise, emulatio). particular, the identification of implicit dedicatees of single compositions has given satisfactory results. The main criteria for the identification will also be briefly discussed. of a performance on original instruments. how Italian operas were adapted to new cultural contexts either by performers or by the composers themselves. dates back to 1827, and, from 1835 on, his works were regularly performed at the Kärntnertortheater. and, more in general, Donizetti’s role in the Viennese musical life. after the Italian Donizetti was appointed Court Composer by the Emperor. congruence between any (pair) of the sources. score and the first edition there has been an engraving copy which today is lost. evaluated as reliable and decisive source in every respect. insight in Sibelius’s way of working, as well as his notational practice and style. metronome markings and has therefore been included in the sources of the critical edition. published in the winter 2009–2010. published for the first time in 2009.
reliable, then, are these sources and what can the editor of a text-critical edition do in questionable situations? each other musically and also being separated by ten years of time? though the copyist was not an experienced musician, because it seems he did not fully understand the notation. articulation, and slurs were added, but also pitches were corrected and notation completed. misplaced markings – occur here too. an edition of the Lemminkäinen Suite, which also includes both early and revised versions. (Oxford and Cambridge University Presses) as well as the English editor of Chinese Annals of Music. “national” choir music, which many composers rose to meet – among them Jean Sibelius. other, a problematic relation to its original male choir version. it is not clear, which of the versions actually should be called the original and which the arrangement. Sakari Ylivuori works as an editor of Jean Sibelius Works in National Library of Finland. dissertation on the sources of Sibelius's works for mixed choir. LA TRADIZIONE MUSICALE. 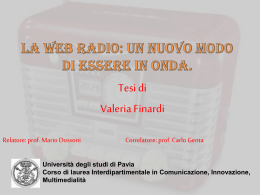 STUDI E TESTI – SPFM. Agnesiana, Cod. 11, Tavarnuzze-Impruneta (FI), SISMEL - Edizioni del Galluzzo, 1998. ( La tradizione musicale. Studi e testi , 2. SPFM, 1). Galluzzo, 1999. ( La tradizione musicale. Studi e testi , 4. SPFM, 2). testi , 5. FEF – SMMFA, 3). - Edizioni del Galluzzo, 1999. 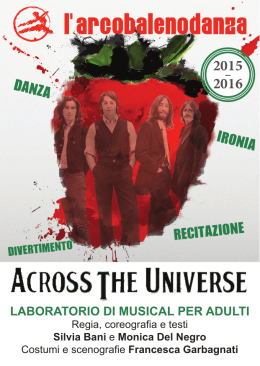 ( La tradizione musicale. Studi e testi , 3). SISMEL - Edizioni del Galluzzo, 2005. 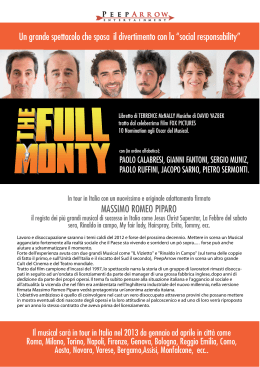 ( La tradizione musicale. Studi e testi , 9). TIZIANA SUCATO (a cura di), Il codice rossiano 215. Madrigali, ballate, una caccia, un rotondello , Pisa, ETS, 2003. Daniele Valentino Filippi, Pisa, ETS, 2003. («Diverse voci...», 2). FRANCESCO FILIPPO MINETTI (a cura di), Il «Canzoniere» inedito del Domenichi ‘mantovanizzatosi’. British Library, Add. 16557, Pisa, ETS, 2003. («Diverse voci...», 3). NICOLA ANTONIO PORPORA, Sei duetti latini sulla Passione di Nostro Signore Gesù Cristo. Mottetti per Angiola Moro, a c.
di Stefano Aresi, Pisa, ETS, 2004. («Diverse voci...», 5). a.M.5.24, Pisa, ETS, 2005. («Diverse voci...», 6). Michael Struck, Pisa, ETS, 2006. («Diverse voci...», 7). Giacomo Baroffio, Gino Leonardo Di Mitri, Serena Facci, Pisa, ETS, 2007. («Diverse voci...», 8). Antonio Delfino, Pisa, ETS, 2007. («Diverse voci...», 9). Mai» di Bergamo , Pisa, ETS, 2006. LIM, 1994. (Marc’Antonio Ingegneri. Opera omnia, Serie I,I). Serie I,II). (di prossima pubblicazione). Serie I,III). (di prossima pubblicazione). INGEGNERI, MARC’ANTONIO, Sacrae cantiones senis vocibus decantandae, a c. di Daniele Sabaino, Lucca, LIM,1994. (Marc’Antonio Ingegneri. Opera omnia, Serie I, V). Serie I,VI). (di prossima pubblicazione). Responsoria Hebdomadae Sanctae. Lamentationes Hieremiae, et alia,a c. di Antonio Delfino (Marc’Antonio Ingegneri. Opera omnia, Serie I,V). (in preparazione). Ingegneri. Opera omnia, Serie I, VIII). Marchi, Lucca, LIM, 2009. (Marc’Antonio Ingegneri. Opera omnia, Serie II, I). De Santis, Lucca, LIM, 1999. (Marc’Antonio Ingegneri. Opera omnia, Serie II, II). INGEGNERI, MARC’ANTONIO, Il terzo libro dei madrigali a cinque voci, a cura di Marco Mangani, Lucca, LIM, 1994. (Marc’Antonio Ingegneri. Opera omnia, Serie II, III). Il quarto libro de’ madrigali a cinque voci, a c. di Mila De Santis (Marc’Antonio Ingegneri. Opera omnia, Serie II, IV). Lucca, LIM, 2006. (Marc’Antonio Ingegneri. Opera omnia, Serie II, V). Serie II, VI). (in preparazione). Il secondo libro de’ madrigali a cinque voci. Madrigali sparsi in antologie, brani sparsi in intavolature (Marc’Antonio Ingegneri. Opera omnia, Serie II, VII). (in preparazione). LIM, 2002. (Marco Uccellini. Opera omnia, IV). Tr 93, 2 Voll., Cremona, Turris, 1992. (Studi e Testi musicali. Prima Serie, 1). 24-6 novembre 1991, Lucca, LIM, 1994. (Studi e testi musicali. Nuova serie, 1). Lucca, LIM, 1995. (Studi e testi musicali. Nuova serie, 2). internazionale, Cremona 4-8 ottobre 1992, Lucca, LIM, 1995. (Studi e testi musicali. Nuova serie, 3). 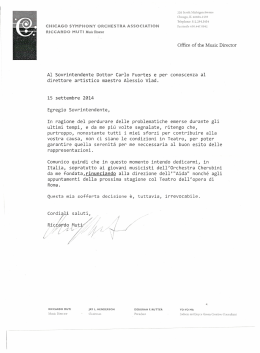 MARIA CARACI VELA (a cura di), La critica del testo musicale. Metodi e problemi della filologia musicale, Lucca, LIM, 1995. 2001 (Clavis Monumentorum Musicorum Regni Bohemiae, Series S, Subsidia, 1)]. Lucca, LIM, 1995. (Studi e testi musicali. Nuova serie, 5). scrutando. Contributi alla storia della teoria musicale, Lucca, LIM, 1994. (Studi e testi musicali. Nuova serie, 7). secondo Cinquecento. Atti della giornata di studi (Cremona, 27 novembre 1992), Lucca, LIM, 1995. (Studi e testi musicali. Lucca, LIM, 1997. (Una cosa rara - Didattica della filologia musicale, 1). 2000. (Una cosa rara - Didattica della filologia musicale, 2). LIM, 2002. (Didattica della filologia musicale. «I testi», 3). rara - Nuovi percorsi musicali, 1). cosa rara - Nuovi percorsi musicali, 3). LIM, 2001. (Una cosa rara - Nuovi percorsi musicali, 4). bolognese del XI secolo e sui manoscritti collegati, Lucca, LIM, 1996. (Una cosa rara - Saggi e ricerche, 7). collana della Società italiana di musicologia, 5). RODOBALDO TIBALDI (a cura di), La ricezione di Palestrina in Europa fino all’Ottocento, Lucca, LIM, 1999. 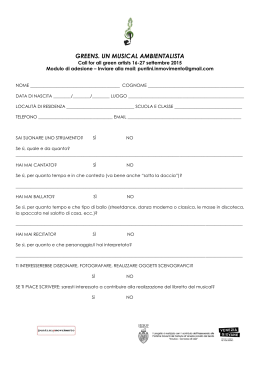 (Strumenti della ricerca musicale: collana della Società italiana di musicologia, 6). STEFANO LA VIA, Il lamento di Venere abbandonata. Tiziano e Cipriano de Rore, Lucca, LIM, 1994. (Musicalia, 6). MICHELA GARDA, Musica sublime. Metamorfosi di un’idea nel Settecento musicale, Lucca, LIM, 1995. (Le sfere, 25). filologia musicale, Lucca, LIM, 2005. MARIA CARACI VELA, La filologia musicale: istituzioni, storia, strumenti critici, vol. 2: Approfondimenti, Lucca, LIM, 2009. ARTEMIO FOCHER, Ludwig van Beethoven: 26-29 marzo 1827, Lucca, LIM, 2001. Flavio Arpini, Crema, Amici del Museo di Crema, 1998. (Biblioteca Musicale Cremasca, 1). Crema, 2001. (Biblioteca Musicale Cremasca, 2). Museo di Crema, 2001. 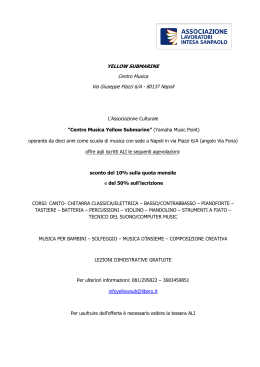 (Biblioteca Musicale Cremasca, 3). Angeli, 2006. (Practica musicae, 1). 2 DVD Book, Udine, Nota Geos, 2007.
appassionati di musica, 2 voll., Cremona, Turris, 1997. Scuola di Paleografia e filologia musicale, 2001. STUDI SUPERIORI - IL PENSIERO MUSICALE. superiori, 530. Il pensiero musicale). GIORGIO PAGANNONE, W. A. Mozart: concerto per pianoforte e orchestra K 491 in do minore, Roma, Carocci, 2006. FABRIZIO DELLA SETA, "... non senza pazzia". Prospettive sul teatro musicale, Roma, Carocci, 2008. Roma, Carocci, 2009. (Quality paperbacks, 287).